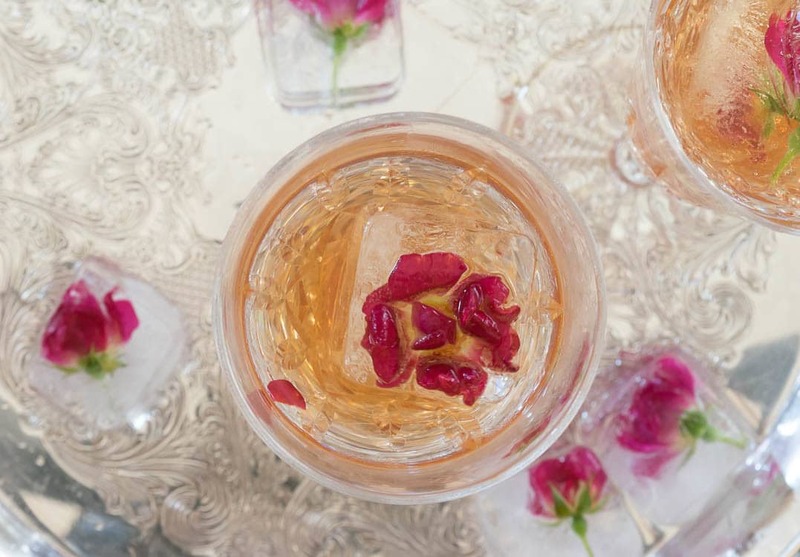 Easy to make rose-infused simple syrup and rose ice cubes make a glass of Prosecco something extra special. Rose Prosecco cocktail will be perfect for a special event, a girl's night or just a lovely Friday evening. Hey there lovelies! Back today with the third installment of Cocktails from the Garden. While my initial plan was to feature all herb-based cocktails, I couldn't resist a cocktail featuring the lovely Knockout Roses that are blooming in my garden right now. 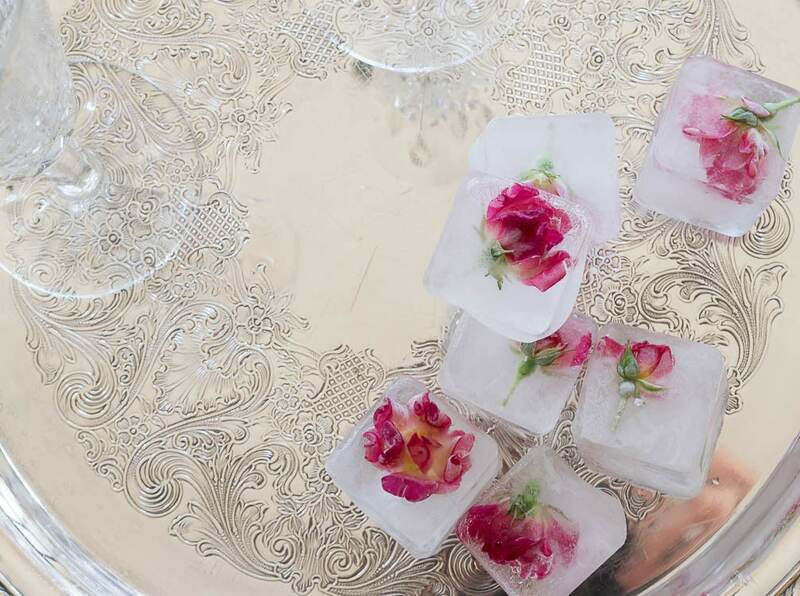 Not only does the rose-infused simple syrup give the Prosecco just a little bit of lovely flavor, but these rose bud ice cubes really make this cocktail something special. And isn't it a good and wonderful thing when something so simple can be so lovely. I merely clipped flowers from my Knockout rose bush (I don't use chemicals on the roses…I wouldn't use the flowers if I did) and put them in my silicon ice cube trays. I added the water and pushed the flowers down that wanted to float. I checked on them again after an hour in the freezer to push back down those stubborn roses. Put ice cube in glass. Add 1 Tablespoon rose-infused simple syrup (add more or less to your taste). Share your Rose Prosecco cocktail with someone special and enjoy! Make sure to clink your champagne glasses! Turn off and let sit for 15 minutes. Store the simple syrup in a airtight jar in the refrigerator for up to one month. If you think you'd like to enjoy this rose prosecco cocktail at home, then bookmark this page or pin it for your future reference. Waiting for my roses here in Leicestershire, UK to bloom and when they do, definitely going to try this recipe! Hi Dawn, hoping for warm weather to come your way soon my friend. I think we skipped spring and went straight to summer. Enjoy your roses…and some delicious Prosecco!